ProtoShapes, Inc. short run part production offers a time and cost-effective solution for prototype development and short run plastic and rubber parts made of custom-formulated polyurethane. The most critical, costly, and time extensive part of the parts development process is the creation of the pattern. 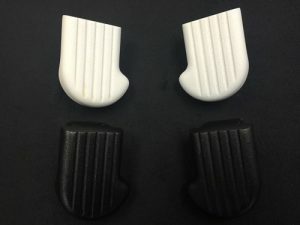 Although it is nice to have 3D printed parts in hand for fit and some function, these printed parts are inferior to polyurethane cast parts when accuracy and cost are factors. 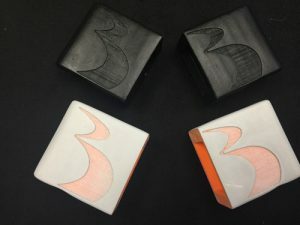 By utilizing the 3D part as a pattern to build a tool, ProtoShapes, Inc. can assist you with quality and functional adjustments while providing access to hundreds of copies if required. 1) Cost effective due to tooling rendered directly from your 3D printed part. 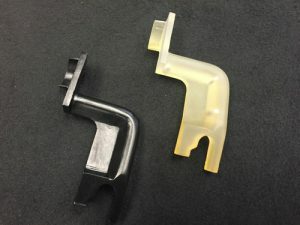 Typical plastic and rubber parts are molded in metal tooling, which can cost thousands of dollars. 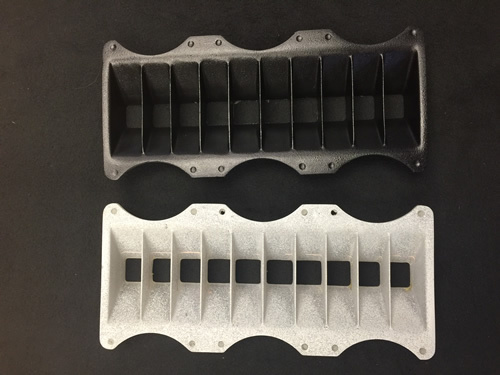 Our tooling (depending the size of parts) are typically hundreds of dollars. 2) Time savings is another benefit to our tooling over machined or EDM metal tooling. Once we have your 3D pattern, it only take a few days to build this tooling, and in most cases less than a day. When hundreds or even thousands of parts are needed, we have the capability to build multiple cavity tools, allowing us to increase part output to making hundreds of parts per day. 3) Polyurethane castings allow you to have as many copies as required in a fraction of the time it would take the 3D printer to print the parts. 4) Improved cosmetics of your printed parts before tooling is rendered give your polyurethane casting a very good OEM look. This is ideal for short run production parts, marketing your parts, and cost effective rapid design changes and limited production runs. The tooling (mold making) process is completed within a few days, whereas the production lead time for steel or aluminum molds may be months. These molds are capable of producing hundreds to thousands of parts before they will need to be replaced. 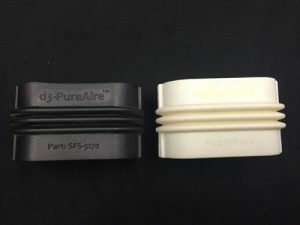 Part of the process when creating a part should include selecting the correct plastic or rubber for the part. When doing this, you need to remember that the hardness does not serve well as a predictor of other properties. The physical properties that need to be considered include; abrasion, flame, heat, impact, oil and chemical resistance, adhesion, flex properties and machinability. The polyurethane that is used can be formulated to emulate most thermoplastics such as acrylic, ABS or polypropylene.